The Berry’s Blue Hanger Whisky & Alement bottling has landed! At Whisky & Alement, we’ve long admired the work of Berry Bros. & Rudd. 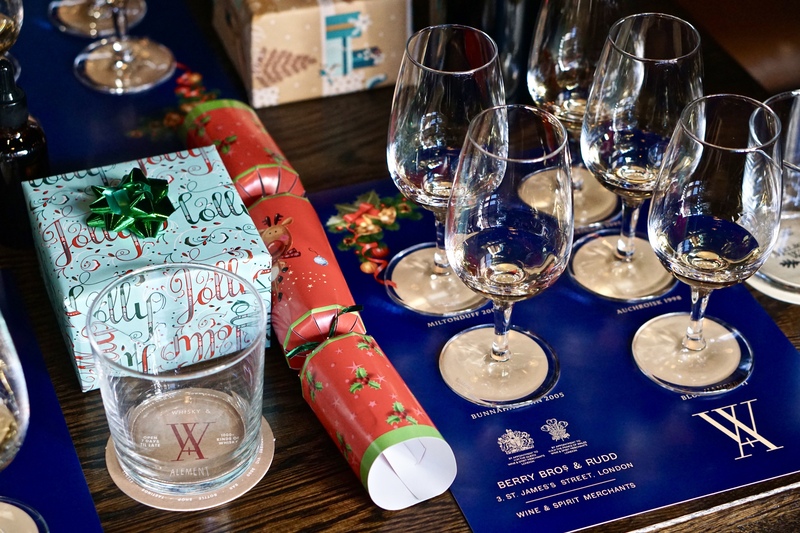 The renowned London wine and spirits merchant can trace their roots back to 1698, making them, effectively, the world’s oldest independent bottler. Berry’s various whisky bottlings have consistently found a ready home behind our bar – and in our customer’s glasses. So we’re thrilled to present this limited-edition Whisky & Alement Christmas bottling of Berry’s award-winning Blue Hanger blended malt whisky. We officially released the bottling this week with a tasting presented by industry stalwart John Raphael from Baranows Emporium – the official importer of Berry’s in Australia. John entertained guests with stories of the incredible history behind Berry’s home at 3 St James’s Street London. He also discussed the whisky world’s developing appreciation of the blender’s art. 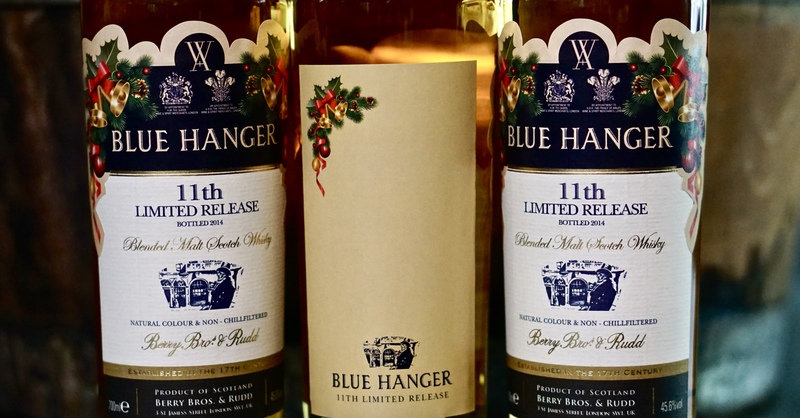 “There’s definitely a growing trend of appreciation for blended whiskies, and Blue Hanger is one of the finest examples of the art of blending you’ll come across,” John says. 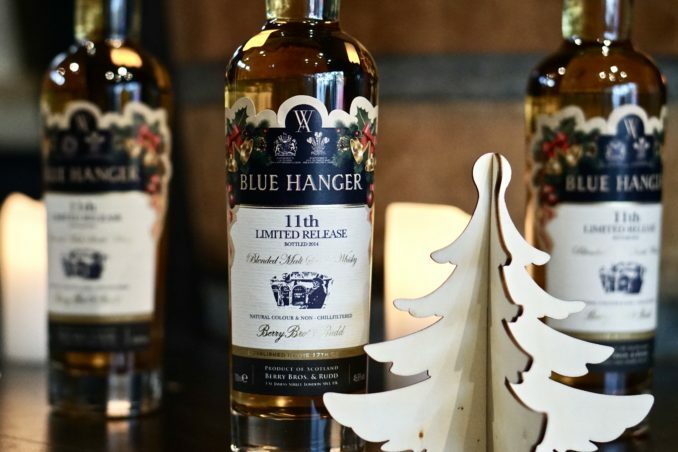 This 11th edition of Blue Hanger, which took out best blended Scotch at the World Whiskies Awards in 2018, is a marriage of eight casks – four hogsheads, three butts and a puncheon. Included in the blend are revered malt whiskies like Glengoyne, Aultmore, Dailuaine and both peated and unpeated expressions from Islay’s famed Bunnahabhain Distillery. All of this was blended together by Berry’s spirits manager Doug McIvor. “We aim very high and with each [Blue Hanger] release I have learned more about the integrity of the whisky and what each distillate and type of cask will bring to the party,” McIvor says. One of the other unique features of this Whisky & Alement bottling is the ability to personalise the label. Upon purchase, we’ll present you with a label and you can then dedicate the bottle to a lucky recipient (or even reward yourself after a hard year’s graft!). Our sincere thanks to Berry Bros. & Rudd and Baranows Emporium for giving us the opportunity to offer up this brilliant whisky to our Melbourne faithful. The Berry’s Blue Hanger Whisky & Alement Christmas bottling is only available at Whisky & Alement and can be purchased for $157.